We realise there are certain times when a ‘standard’ product just won’t do. That’s why our directors, Paul and Anthony, work with you to help you achieve whatever design you have in mind. When you make your initial enquiry Paul or Anthony will discuss your requirements with you. During this consultation a sketch is made of your design ideas and you will be invited to choose your components from our suppliers’ catalogues. Because there is so much choice this can seem a bit daunting but this is where Paul and Anthony’s expertise is particularly valuable. Between them they have crafted ironworks in a wide range of patterns and styles both traditional and contemporary. 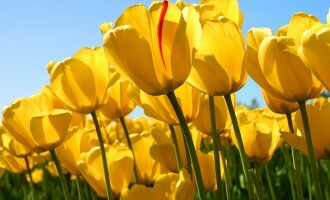 This makes them well qualified to offer advice on designs that are both appropriate and in keeping with your home. 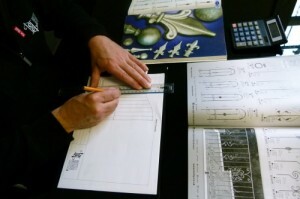 They are equally at home creating designs from architect’s drawings or from a simple sketch on the back of an envelope. 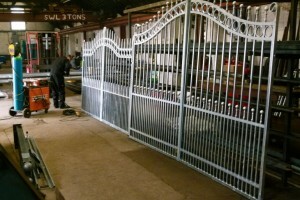 If your requirement is for gates or railings Paul or Anthony will visit you to take detailed measurements, draw a site plan and, depending on the site complexity, to take photographs. These are used to calculate material costs and quantities and to provide your quote. As part of our quality process all measurements and calculations are checked for accuracy by at least two people. If you accept our quote we will ask for an initial deposit to secure the components for your project. Once they arrive in our factory they are laid out on a bench and tacked together to form the pattern you have chosen. If you wish, you can then visit our factory to see your design ‘in the flesh’ before welding commences. 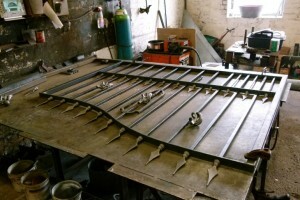 The components are then carefully welded together by Paul, Anthony, Leigh or Andy. All welding is inspected for neatness, strength and appearance before the product is sent to our supplier for hot dip galvanizing to be applied. Carried out to BS EN ISO 1461, our ironworks are taken through a multi stage pre-treatment process before they are dipped in a vat of molten zinc. It it this coating which protects the steel from corrosion for 50+ years . The total process takes around seven to ten working days to complete. Once your goods are received from the galvanizers they are examined again before being powder coated to BS EN ISO 13438 in the colour of your choice. Our powder coating supplier uses a process that coats the ironworks to an average thickness of 80 microns which exceeds the industry average of 60 microns. A final inspection is undertaken after this process before we contact you to make an appointment to fit your new products. Paul and Anthony will then carefully install your ironworks consulting with you to ensure you are completely satisfied with the end result. It is our company policy to ensure your property is left in a clean and tidy order before we leave at the end of every installation.